Welcome to The Porsche Exchange, where you can always "Expect The Exceptional!" We are the largest-volume Porsche dealer in the Midwest. Meaning you'll find the largest selection of inventory here, so that you never have to settle. We are Chicagolands only Porsche Premier dealer again this year. Meaning you'll receive a level of service here that is above and beyond what other Porsche dealerships offer. We are the Midwests only Porsche Exclusive Manufaktur Partner Meaning our highly trained staff is uniquely prepared to help you navigate the virtually endless customization possibilities to create your dream Porsche. 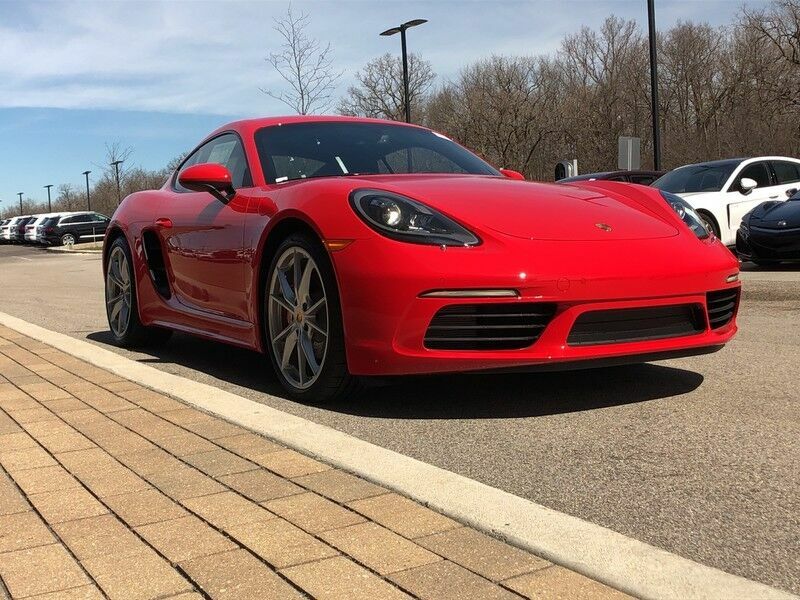 If you have any further questions whatsoever about this listing, please don't hesitate to call us at 847-266-7000 or email tim.j.fehr@4porsche.com We truly appreciate your interest in this vehicle and we look forward to earning your business! This Porsche includes: LANE CHANGE ASSIST Blind Spot Monitor LUGGAGE NET IN PASSENGER FOOTWELL BLACK, PARTIAL LEATHER SEAT TRIM Leather Steering Wheel Leather Seats Premium Synthetic Seats WHEEL CENTER CAPS W/COLORED PORSCHE CREST 14-WAY POWER SPORT SEATS Mirror Memory Seat Memory Power Passenger Seat Adjustable Steering Wheel Power Driver Seat Passenger Adjustable Lumbar Driver Adjustable Lumbar Bucket Seats FUEL CAP W/ALUMINUM LOOK FINISH BI-XENON HEADLIGHTS W/PORSCHE DYNAMIC LIGHT SYSTEM HID headlights Headlights-Auto-Leveling BOSE SURROUND SOUND SYSTEM Premium Sound System HEATED MULTIFUNCTION STEERING WHEEL Steering Wheel Audio Controls Heated Steering Wheel PORSCHE ENTRY Keyless Start Hands-Free Liftgate Power Door Locks Keyless Entry Remote Trunk Release POWER STEERING PLUS APPLE CARPLAY GUARDS RED WHEELS: 20" CARRERA Tires - Front Performance Aluminum Wheels Tires - Rear Performance PREMIUM PACKAGE Multi-Zone A/C Variable Speed Intermittent Wipers A/C Climate Control Intermittent Wipers Auto-Dimming Rearview Mirror Heated Front Seat(s) HID headlights Rain Sensing Wipers Headlights-Auto-Leveling SMOKING PACKAGE *Note - For third party subscriptions or services, please contact the dealer for more information. * Pull up in the vehicle and the valet will want to parked on the front row. This Porsche 718 Cayman is the vehicle others dream to own. Don't miss your chance to make it your new ride. This is about the time when you're saying it is too good to be true, and let us be the one's to tell you, it is absolutely true. The Porsche 718 Cayman S will provide you with everything you have always wanted in a car -- Quality, Reliability, and Character.